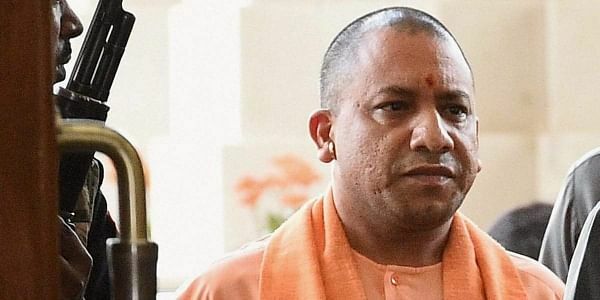 A 30-year-old man on Saturday tried to jump in front of Adityanath's car to draw his attention to illegal mining allegedly being patronised by BJP leaders. As Adityanath was headed to Lok Bhawan for an event, the man who had camouflaged himself with the waiting media at the gate, tried to leap in front of the Chief Minister's car when the cars arrived. The cars of Governor Ram Naik, Deputy Chief Minister Dinesh Sharma and visiting Maharashtra Chief Minister Devendra Fadnavis were right behind Adityanath's vehicle when the incident happened. He said he had tried to meet the Chief Minister many times but was not able to. Mishra said he wanted to tell Adityanath about the "illegal mining" being done in Sonebhadra "under the patronage of BJP's Sardar legislator and BJP's district president". Mishra added that the permits, which cost Rs 2,200 each, were being sold in black for Rs 14,000 at the behest of the BJP leaders, while people are not getting enough construction material for their own houses.